Many UHF/VHF users have long lamented the limitations of line of sight communications that are the norm – well with the exception of tropospheric propagation or other atmospheric phenomenon’s. Now with the expansion of the world-wide web since the mid 80’s the possibilities of using a hybrid RF-IP pathway for communications has opened up to the amateur community. Interesting enough this movement was spearheaded in 1998 by the Japanese government in conjunction with the Japanese Amateur Radio League and the out come was a plan /guidance referred to as Digital Smart Technologies for Amateur Radio or as we call it today D-Star. 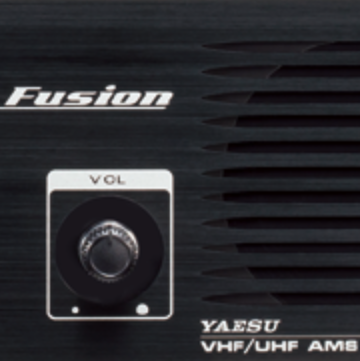 Of course that’s not where the story ends – or else we wouldn’t be using and writing about Yaesu’s System Fusion technology and Wires-X! Of course the idea wasn’t unique to Icom, Motorola, Yaesu or others – it was something that was technologically sound and needed the collective brain power to realize. That’s exactly what happened, the community got together and using commercial hardware and software built a number of applications and platforms that would blend RF with IP. You may have used several of these modes already and know them as IRLP, Echolink, WinLnk, D-Star and others. So what exactly occurs when you use one of these hybrid RF-IP communications methods? Think of it this way – your RF is picked up by another radio that is connected to a computer with access to the Internet – your signal is converted to a digital form which in turn is passed to the chosen destination where it is decoded and repeated via RF to the other end point. Now as well there are cases and the capabilities vary where the signal may not use RF at all or only in part on either end. Take Echolink for instance – I’ve had QSO’s from a park bench in Germany using my smartphone with other hams in the states using their computers. The common point in all of these approaches is that they use the Internet and voice to digital conversions. Okay, so what is Wires-X and how is it implemented – what are the features available and how can I use it? Many, many questions – to make it digestible I will break it down over the next issues of Repeater Talk. This month we can cover the architecture and some basics to get you started. 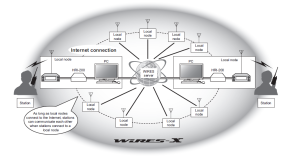 Yaesu developed Wide-coverage Internet Repeater Enhancement System ( WIRES ) to link compatible protocols amateur radios users across the world using the Internet. Initially the system was called WIRES as it used the analog method of transmission, this was introduced at Dayton in 2002, since then the analog version has evolved into WIRES-X which rolled in the analog with the new C4FM Fusion protocol. 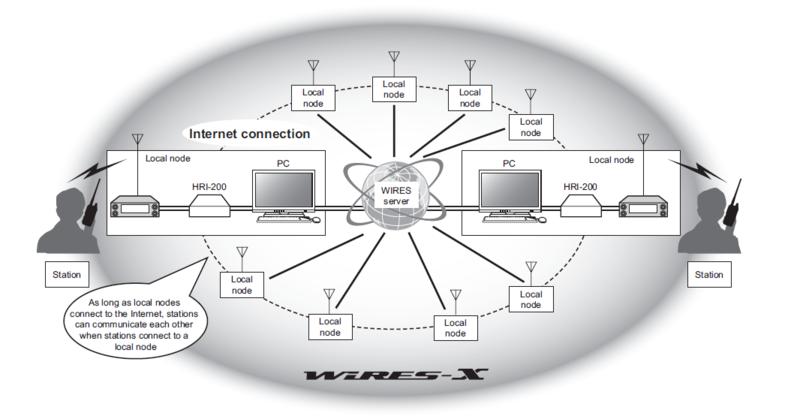 While mixed mode can exist in WIRES-X systems the two systems don’t interconnect with each other. There are a couple of things to note – A central server is used to connect / publish / manage nodes available for users. 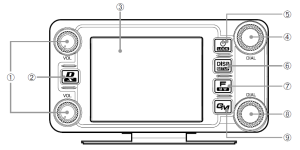 This is managed by the Yaesu company and is how the node enrollment and activation occurs. A computer is used to manage the node and we have already seen older PC’s revived to support the need and even Raspberry Pi based technologies to serve – as the “power required” and bandwidth for that matter is minimal. With WIRES-X you can connect to a single node user – or connect to a number of users/modes via interconnected nodes. You can pass our metadata which contains your call sign, location to others to support location services. All with mixed modes working together. This is all capable without the need to use DTMF! This is available anywhere and around the world! All from your HT or Mobile unit. Locally to the W2ZQ West Trenton area I use for WIRES-X connections and the frequency is 444.8. Of course many others are available and in order to find them you must know the local frequency first and then you’re good to go! 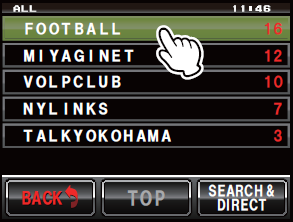 As with any good system a listing of active nodes is important – so I recommend using the Yaesu listing found at http://www.yaesu.com/jp/en/wires-x/id/id_usa.php This new feature is just getting started and growing on a daily basis as nodes are being added across the world and Yaesu is working to address identified issues/bugs. Stay tuned to Repeater Talk for the latest on our DVRA/W2ZQ System Fusion repeater upgrade. Next month we will continue to explore the benefits of digital HAM radio and in coming issues of Repeater Talk take on more and more of the technical side always breaking it down for easy understanding. 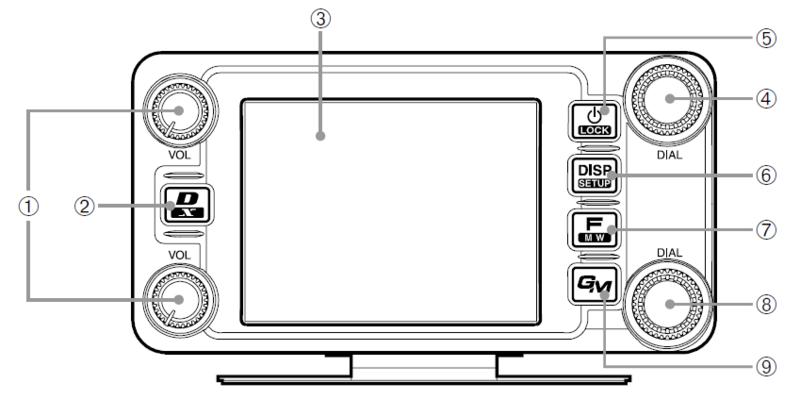 The images in this article are all from Yaesu online documentation.